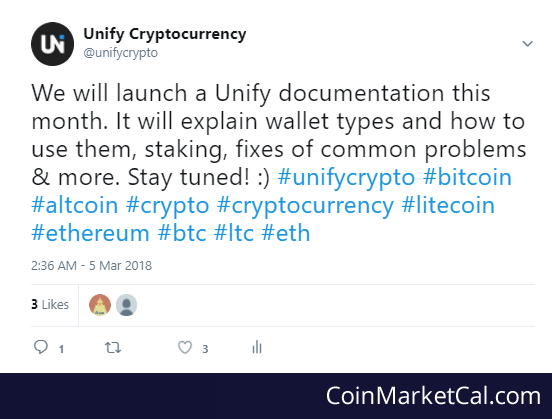 Unify (UNIFY) - Events, Price, Market Cap, Supply, Exchanges and more! 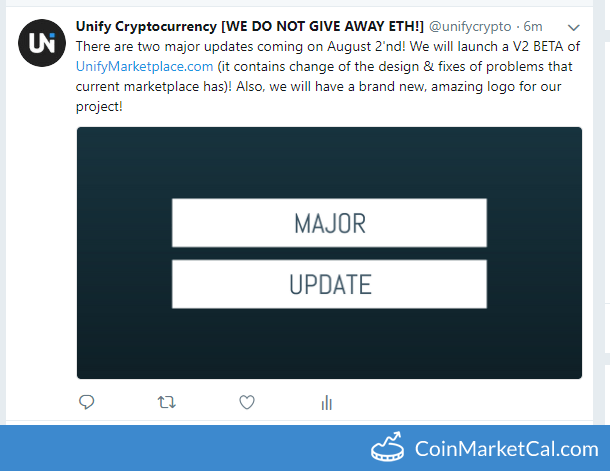 We will launch a V2 BETA of http://UnifyMarketplace.com ! 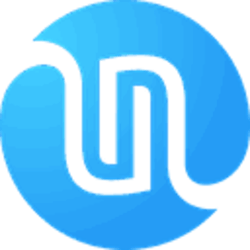 Also, we will have a brand new, amazing logo for our project! 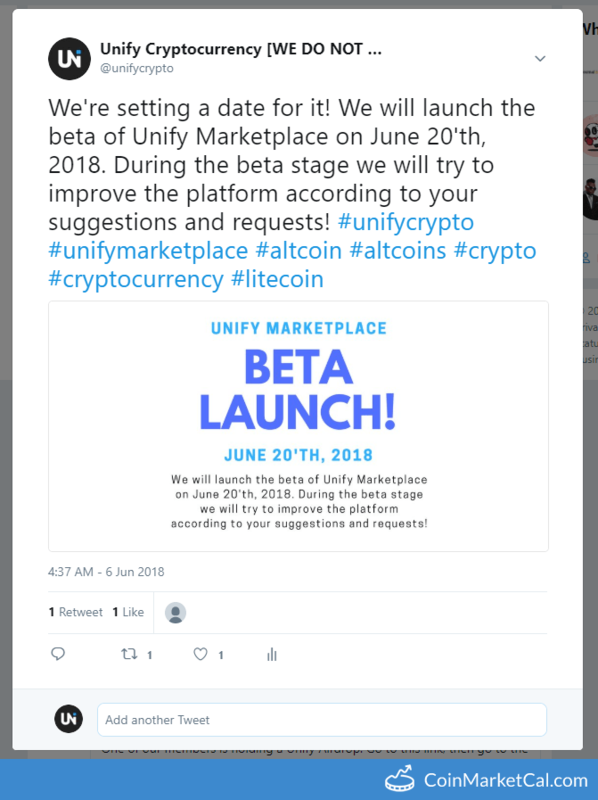 Beta launch of Unify's Marketplace. After successful release of the web wallet. 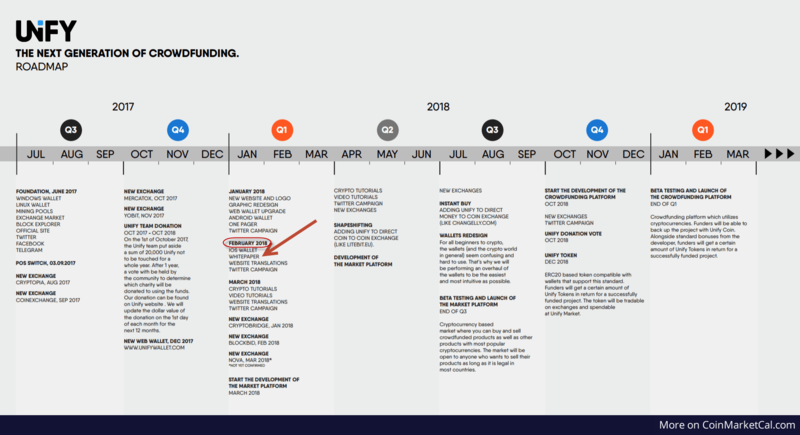 They are now releasing their android wallet. 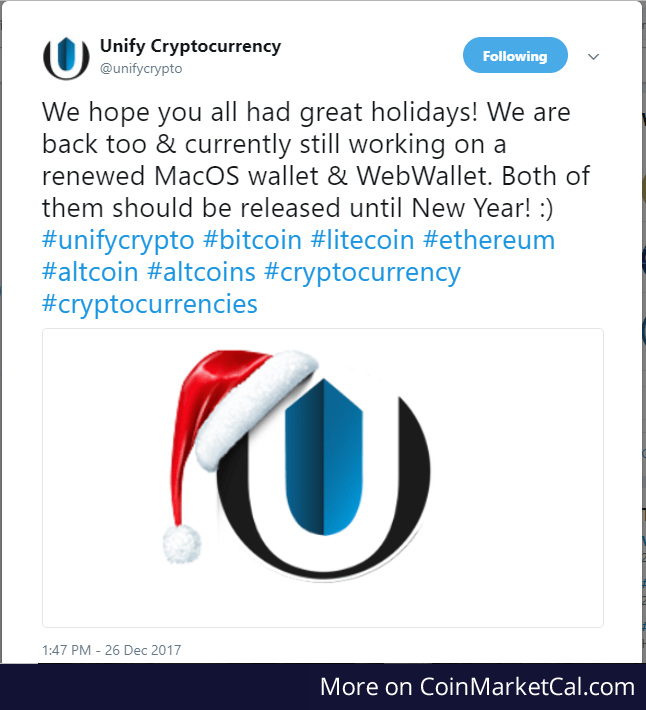 "MacOS wallet & WebWallet. Both of them should be released until New Year!" 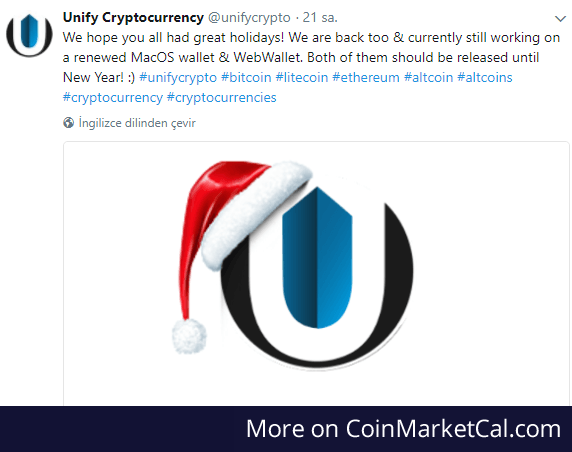 "Still working on a renewed MacOS wallet & WebWallet. Both of them should be released until New Year"